Ben Carlson’s work at A Wealth of Common Sense is a staple on Abnormal Returns for one simple reason. He writes clearly and succinctly about a range of issues facing individual and institutional investors. In his latest book, Organizational Alpha: How to Add Value in Institutional Asset Management, Carlson examines the challenges facing fiduciaries at the institutional level. Oftentimes these fiduciaries do not have a formal (or informal) background in investments and are at sea amidst the claims and counter-claims of investment managers, consultants, etc. This (short) books provides anyone in that situation with the ability to ask meaningful questions and know when the the answers they get back are bogus. I asked Ben a handful of questions about his book, Organizational Alpha: How to Add Value in Institutional Asset Management. My questions are in bold and Ben’s (unedited) answers follow. AR: Much is being made in the press of late about the fiduciary rule in regards to individual retirement plans. How does the fiduciary standard play out with organizations and where do board members go wrong? 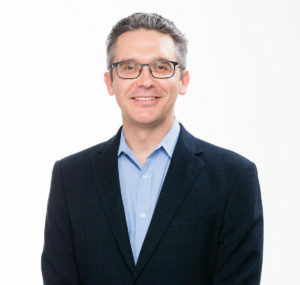 BC: Many people fail to realize that being on the board or acting as a trustee of a nonprofit investment fund gives you a legally and ethically bound fiduciary duty to act in the best interests of your fund beneficiaries. Organizations or board members go wrong when they allow their personal feelings or conflicts of interests get in the way or take avoidable or unnecessary risks with the funds in question. Being a fiduciary for one of these funds doesn’t mean you’re necessarily responsible for the investment outcomes, but you are accountable for the decision-making process that leads to those outcomes. The most important steps an organization can take to fulfill their role as a fiduciary are to establish and document all investment guidelines and policies, create a diversified portfolio according to the specific risk characteristics and profile of the organization’s mission, follow a structured investment process and avoid any conflicts of interest. The board is really there to monitor and provide checks and balances to ensure the fund is being prudently managed. AR: I agree with much of what you write about the importance (and power) of simplicity in investing. (Which was the topic of your first book A Wealth of Common Sense.) My question is how do you transition an organization away from complexity (and chaos) to one that is focused on simplicity and avoiding big mistakes? BC: It’s not an easy transition because there’s a lot of inertia in this space. Making sweeping changes to the institutional mindset is like turning a battleship around – it takes time. You really have to get buy-in from the investment committee and board members. The problem is most of these institutions have never really been sold simplicity because complexity and a good story tend to sell much better. So it requires education, data, and effective communication efforts to get them to understand that there’s often a better way of doing things that can potentially improve performance, make things more efficient from an operations perspective, save time and allow everyone involved with the fund to understand what’s going on with the management of the money. Many of these boards don’t really understand how their money is being invested which is why they often end up chasing fad investments or past performance and changing their money managers or consultants on a consistent basis. Continuity is an underrated outcome of simpler approach because it saves you on the crippling switching costs that come from jumping in and out of different strategies and philosophies all the time. AR: I have been writing about David Swensen, the CIO of the Yale University endowment and author of Pioneering Portfolio Management, since the outset of this blog and you note his advice to managers to “do as I say, not as I do.” What kind of reactions do you get from clients when you show the results from a very simple (and cheap) portfolio compared to their own returns or that of like institutions? BC: There seems to be a lot more institutions coming around to the fact that a simple, low-cost portfolio actually puts you in the top quartile of performers or better over the long-term. Yet there is also some apprehension because these investors have been burned in the past when making changes to their portfolios so it can be tough to get complete buy-in. There is also a group in this space who will never accept or understand this because it goes against everything they believe in. In the book I talk about the three ways to make money, as described by Charley Ellis. The first is physically exhausting (work harder than everyone else), the second is mentally exhausting (be smarter than everyone else) and the third is emotionally exhausting (be more rational than everyone else over the long-term). The institutional asset management industry was built upon the first two and has a hard time admitting that the third option is probably their best bet. I think it’s going to take a long time for this group to come around to these ideas because the people involved are all so ultra-competitive. AR: By now the four P’s of due diligence are pretty well known. Why do you tell investors to focus on the first three (people, process, portfolio) to the exclusion of the fourth, performance? BC: It seems that investor time horizons continue shrink a little more each year and there are fewer long-term investors than ever. In the book I give a stat that 90% of institutional investors say they give an investment two years or less before cutting it loose because of underperformance. The reason investors chase performance is because performance is the only thing they’re looking at. And by the time they’ve decided to move to the top performers of the past three years or so they’ve likely already missed the boat. Investors need an in-depth understanding of any fund or manager’s process, how they manage a portfolio and who the people are running it. It’s never an easy decision to stick with or even double down on an underperforming fund or investment style, but you have to be able to look past the short-term to place performance into context and understand why that underperformance is occurring. The same is true on the flip side when a fund or style is outperforming. One of the hardest questions to answer as an investor is this: Am I being disciplined by staying the course in this investment or stubborn by not cutting it loose? There are no easy answers here but investors have to understand that short-term performance – and short-term to me is 3-5 years at a minimum – is fairly meaningless. Take care of the people, process and portfolio and the performance will take care of itself eventually. This is another mindset that can help you be successful but is very hard to stick with in practice. AR: Recent research has shown that the major reason why major university endowments have outperformed historically is their capacity to take on additional risk. How can an organization gauge its own risk tolerance and its capacity to take on the risk (and hassle) of alternative investments? BC: A lot of this has to do with the type of fund in question – pension, endowment, foundation, family office, operating fund, etc. Some of these fund types are constrained by their liabilities while others have more free rein with their spending policies. It also depends on your donor base and how much money you have coming in every year to refill the coffers. Many of the largest college endowments receive massive gifts every year, thus allowing them to take more risk with their portfolios. On the other hand, many foundations are set up with a one-time gift and expected to live off that forever. Like many aspects of investing, gauging risk tolerance is more art than science. It’s really important for institutional funds to understand their own unique financial situation in terms of assets, liabilities and future objectives. I’m a huge proponent of goals- or mission-based investing where these organizations should spend more time focusing on what they’re investing for and why and then building policies and a portfolio to meet that mission. In terms of the capacity to take on alternative investments, this is an area many of these funds haven’t given enough consideration. The largest endowments and pensions often have entire teams devoted to certain asset classes or styles of investing, be they private equity, venture capital, hedge funds, private real estate or public markets (stocks and bonds). These are people who are experts in these fields and these funds still have a hard time managing and choosing the best funds. So those funds who don’t have these capabilities or type of investment staff need to think long and hard about what they’re up against when trying to implement an alts allocation in their portfolio. It’s a lot of hard work. It requires far more due diligence and investment expertise than the public markets and there is a much wider dispersion of results in the space between managers. AR: You note that organizations need four important documents including an Investment Policy Statement, to help govern its investments and spending. Is that something an organization can do on its own or is there a value to having an outside party help craft those governing documents? Do you have an IPS in place? How effective is the IPS? How much time and effort did you put into creating the IPS? How often do you review the IPS? Organizations certainly can document their investment process on their own but many don’t know if they’re on the right track or not. They don’t have the correct framework in place to be able to gauge whether or not they have an effective investment process because it’s not something that is taught to investors. Many organizations I’ve encounters either don’t have one at all or have one in place and never use it. The whole point of documenting your investment process is to remind yourself over and over again about your goals, objectives, constraints, guidelines, policies and filters. I do think there’s value in having an outside part help craft or review the governing documents but you have to make sure that outside party is focused on policy in the first place. 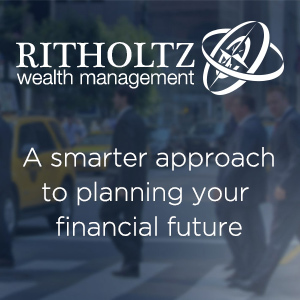 Many financial firms are just as guilty in ignoring this aspect of investment planning. 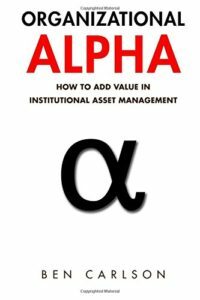 You can purchase Ben’s new book Organizational Alpha: How to Add Value in Institutional Asset Management at Amazon along with his 2015 book: A Wealth of Common Sense: Why Simplicity Trumps Complexity in Any Investment Plan.